It’s said that a male lion would not be polite when they encounters a cub who is not their child. Gerald met such a male lion. He regards himself as a grain reserve, but he dislikes that he is not enough to stuff his teeth, ready to fatten up before eating. Gerald decided to grow up under the care of his adoptive father, and then escaped before his adoptive father starts his move. But who knows, this fattening, it’s not that fattening? This article is about the cultivation of pseudo-father and son. This novel is quite good. At first, it's kinda weird reading from a perspective of a cub. At the same time, it's nice to know more about the daily life of lions. Like how they are territorial and how the lioness are in charge of hunting etc. male lions making love to each in their animal form, could you? There are also comedic instances such as how the father would always bath his son even though... more>> he's all grown up. And how do lions bath? You got that right. Well, he just made that a reason to make a move towards our MC. I gave this novel a four because the part where the father fell in love with his adopted son was too blank. It seems to have appeared out of no where. The change of settings is also abrupt and has less details. 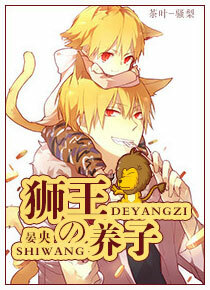 Also, aside from the animal references, this novel is normal in a lot of aspects. However, I cannot deny that it has its own good points.